How Trello Works – Get Laser Beam Focused! Even though I’ve been quite late to the party, Trello is an awesome task management tool to supercharge your productivity. 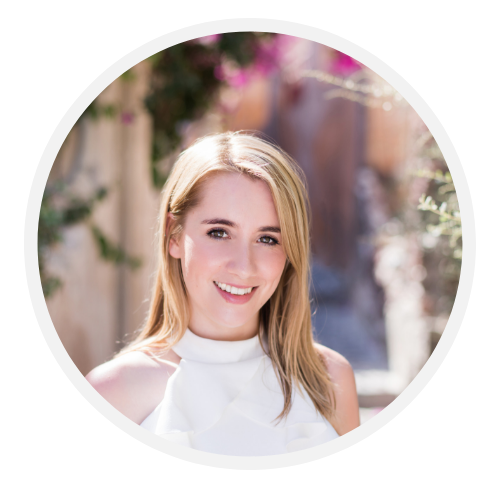 Managing a business can be overwhelming, especially when you’re a solopreneur. It’s virtually impossible to juggle all of the balls if you aren’t organised in your business. In this article, I’m going to show you how Trello works so you can take back your power! 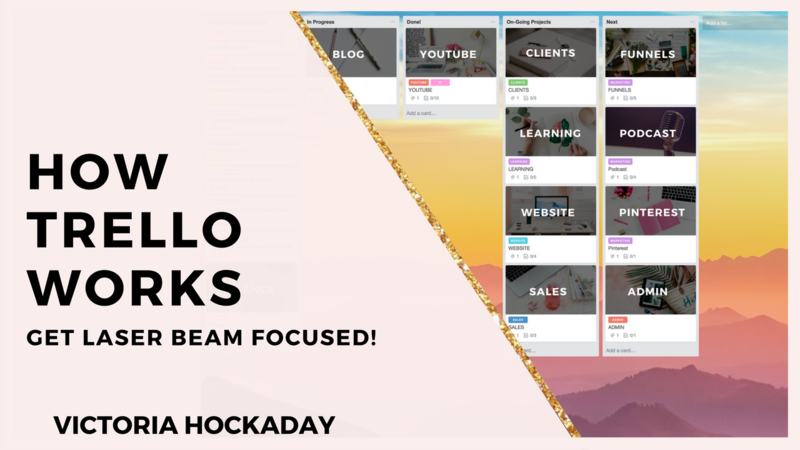 Today in my business, I use Trello to manage content for Empowered Coaching Business (our flagship online course), organise workflows, streamline social media and plan YouTube videos. Not to mention organising newsletters, tracking funnels, managing finances and mapping out my dream life (including exotic holidays with Mr Right!). Images make me happy. When you sign up to Trello on the business plan, you’ll have access to HD images from unsplash. Here you can choose from an array of images to pimp up your workflow. If you’re like me and get satisfaction from ticking off lists, checklists will make you happy. The great thing about checklists is that you no longer have to scroll to find to dos. Instead you can create checklists to easily find the progress of your tasks. You can add checklists by going to add in the cards section. When you add a checklist on Trello you can use a saved checklist or create a new checklist. Labels are there to colour code and organise your cards. You can use labels on Trello to organise the type of your task, such as “YouTube”, “funnels”, the urgency of your tasks, such as “priority”. If you want to get CEO savvy, you can divide your tasks based on “£”, £10 a hour tasks, “££” £100 an hour tasks and “£££” £1000 an hour tasks. This makes sure that you’re focused on tasks that are going to bring you the biggest ROI. It’ll also help you when it comes to outsourcing, as you’ll be able to outsource £10 an hour tasks to free up your time. These might be adding pop ups to your website, adding widgets and organising your diary. I like to use Trello to manage projects that I’m working on such as our flagship online course and membership site. Keeping all of this in once place helps me to plan, create, launch and grow courses and programmes that I’ve created. In my workflows I like to create business silos using images. This helps me to see the bigger picture of my business so that I can create business flow. You can create a business silo in Trello by attaching an image in the cards section. Go to “attachment”, “computer” and upload an image for your business. I like to create my image cards using Canva. I download stock photos from unsplash and edit the image with colours and fonts. 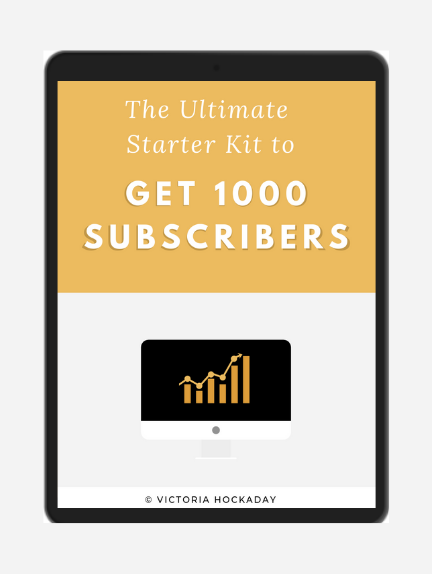 Thinking of your blog or youtube channel as an editorial calendar will help you to stay consistent with content. If you’re struggling to stay consistent, focus on creating 1 piece of content each week and the feedback you get from that piece of content will inspire other ideas. Once you’ve created your content calendar in Trello you can plan your content 4 weeks in advance. This takes the pressure off having to come up with new ideas because you’ll know what’s coming next. Last week, we released a video on creating a content calendar on the YouTube channel so if you haven’t watched the video I highly recommend checking it out. Now that you’ve seen how Trello works, create a board based on an upcoming project and use it to prioritise your tasks. Once you’ve created your first board, it will get easier and you’ll become a Trello pro sooner than you think. I’d love to hear from you! What tools do you use to organise your tasks?